You finally made the decision to get in shape. You met with your coach and had your first workout session. Because now it hurts to move. And not hurts a little either. Muscles you didn’t even know existed are sore, and it’s hard to even get out of bed. Delayed onset muscle soreness (called DOMS for short) typically occurs within 24 to 48 hours after exercise. Though uncomfortable, it’s completely normal. And super important to remember..the pain is temporary. What exactly is happening here anyway? The strain of pushing your muscles harder than usual causes microscopic tears in the muscle fibers. The tears plus the resulting inflammation bring on the pain and soreness. In addition to soreness, some people also experience swelling, stiffness, tenderness, and reduced range of motion. Before you regret your decision to exercise, remember that soreness is a positive sign. It means your muscles are being challenged and getting stronger. Though the pain should only last one to three days as the tears heal, there’s no way to speed recovery. In the meantime, there are a few things you can do to relieve your symptoms. The inflammation caused by the small tears may initially benefit from cold therapy. Icing the affected sore muscles helps dull the pain by reducing blood flow to the area. Apply a cold compress or a bag of frozen vegetables wrapped in a cloth to the affected muscles for 20 minutes every four to six hours for three days or as needed. If you’re sore all over and if you can tolerate it, sit in a cool bath. Keep in mind that ice isn’t a good idea for back pain or for muscle spasms. While ice is the best initial treatment, heat therapy helps muscles relax. Rather than limiting blood flow, heat increases blood flow to the muscles to aid healing. Heat is also soothing and calming after a tough workout. Types of heat therapy include use of a heating pad, heat wrap, warm compress, or a hot bath. Apply heat for 20 minutes several times a day unless you’re using a heat wrap, which can be used for up to eight hours. If you thought a back rub felt good, wait until you have DOMS. It’s best to avoid deep-tissue massage, but gentle massage is perfectly safe. Some studies have shown that gently massaging sore muscles helps reduce swelling and alleviate DOMS pain by 30 percent. A fourth tried-and-true way to alleviate the unpleasant symptoms of DOMS is using over-the-counter anti-inflammatory pain relievers. If the soreness is hampering your normal activities, take ibuprofen, aspirin, or naproxen as directed. These medications are specifically designed to reduce swelling and inflammation in the body, so they’ll target the swelling surrounding the tiny tears in your sore muscles. An ancient form of medicine, acupressure can be used to relieve the pain of muscle soreness. Unlike acupuncture, which uses needles, acupressure uses finger pressure on tender points. Acupressure can be an effective means to relieve tension, reduce pain, and increase circulation. It may be the last thing you feel like doing, but light exercises are one way to work out muscle soreness. However, pushing yourself too hard through DOMS may lead to injury, so take it easy until the soreness lessens. Try gentle stretches, walking, or swimming to keep your muscles moving. If it’s just your legs that are sore, focus on arm exercises or vice versa. Hope these 6 methods of reducing your soreness help. Just remember the soreness is a side effect of doing new things physically, but you will adapt. It won’t always be as challenging as it is in those first few days. P.s. If you’re tired of starting and stoping your workout program, before you ever see results. We can help. Get the workouts, nutrition, coaching, and support to get the results you deserve. Everyone wants to get leaner, get toned, get more definition, look better, and feel better. And theres one simple little nutrition trick that can help you accomplish all that. Not one client has ever sat down in front of me and was taking in enough protein. For a person training intensely 2-3 days per week it’s MORE than you think. You can use this Protein Calculator to get a accurate estimate of your needs. And I’m betting your needs are way more than the number of grams you’re getting in today. And don’t let the fact the calculator is on Bodybuilding.com. This has nothing to do with “Getting HUGE BRO!”…this has to do with you hitting your weight loss and fitness goals faster and easier. You can use any source of high quality protein: Chicken, Fish, Lean Meats, to meet your numbers. But I’ve found it’s nearly impossible to hit those numbers without some type of supplement. 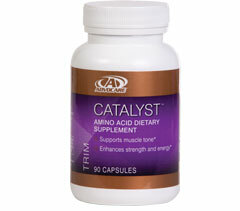 I’ve been recommending CATALYST from Advocare. We call it “Lipo in a bottle” and there’s good reason. It’s basically protein. And the more protein you can get in the better. If you’re NOT seeing the results you want. Check your protein intake against the calculator and adjust accordingly. There’s no downside to this. It CAN be done and YOU can do it! Hope you’re having a great (warm and safe) day! With the winter storm locking everyone down here in the DFW area. We had to cancel every Training session and Boot Camp. Just not safe to go out. If you’re stuck inside like we are this weekend I wanted to make sure you don’t get bored! You can do one or all! The #1 workout is super simple but simple doesn’t mean easy! The #2 workout is a little more involved. But we’re not going anywhere today so why not give it a shot. So here you go 3days 3 different workouts. Guaranteed to raise your metabolism for the next 24-48 hours! * Rest 1- minute before repeating 1-2 more times. * Rest 1 minute before repeating 1-2 more times . * Rest one minute before repeating up to 3 more times if done as standalone workout. If you like these workouts you’ll love the Holiday Belly Burn Program. Get in Shape BEFORE the New Year while never missing a Holiday Party and eating your favorite holiday foods! What’s the Secret to Food Choices For Weight Loss? For this study, researchers set out to investigate ong-term food habituation in obese and non-obese people. So we’re on the same page, let me give you a brief explanation of what habituation is. Simply put, it’s when a repeated action no longer produces the same result. If so, you can probably think back to the time when you tried your first cup of joe. Chances are you felt jittery, and maybe even felt your heart beat a little faster. But if you kept on drinking coffee, chances are you felt that kind of reaction less and less. And you’ve probably noticed that the more coffee you drink, the more it takes for you to stay “awake” and get the effects of the caffeine. This is habituation. Your body’s receptors become less responsive to the caffeine, so it takes more of it to get a response. So this study wanted to see what happens when you’re exposed to the same food, again and again. Group 1 was the “Weekly Group.” This group of women participated in once-a-week experimental food exposure. This lasted for five weeks. Group 2 was the “Daily Group.” They participated in the same experimental food exposure for just five consecutive days. During the experimental food exposure sessions, the women were asked to complete a series of tasks, after which they were given a 125-calorie portion of macaroni and cheese. The women were allowed to complete more tasks in order to receive more food, with no limit placed on how much more food they could “work” for. As you may have guessed, the “Weekly Group” increased their total caloric intake by almost 30 calories a day. The “Daily Group” decreased their caloric intake by 100-calories a day. Also, it’s important to note that there were no significant differences in how obese women responded versus non-obese participants. This study suggests what many of us have suspected… making the same food choices on a regular basis will help you eat less! Sure, it might be a little boring. But if your goal is to lose weight this coming year and get in the best shape of your life, it might be worth your while. For a while. Plus, if you analyze most people who successfully make a dramatic physique transformation, you’ll find that the majority of them eat the same foods day in and day out. Once you’re in “maintenance” mode, then you can go back to putting in a little more variety and mix things up accordingly. If you learn to think before you eat, you will achieve Fort Worth weight loss by making the right choices. When you eat foods simply because you like them without regard for their nutritional content, it is easy to choose foods that are not good for your body. Losing weight doesn’t have to be a traumatic experience when you learn how to choose healthy and tasty foods with high nutritional content. Instead of deciding to go on a diet, you should decide to start living a healthy lifestyle. Going on a diet for Fort Worth weight loss is a short term solution. Living a healthy lifestyle is a choice you are making that will endure the rest of your life. You can begin by simply thinking about what you eat and when you eat it in order to achieve Fort Worth weight loss. You can begin to substitute foods with high nutritional value for foods that are not good for your body on a meal by meal basis. Instead of being obsessed with Fort Worth weight loss, you can focus on your energy level and how well you are aging. When you make the right food choices and manage the quantity of food you eat, you will lose weight. Your diet management should be combined with regular exercise too. If you just think about each food item you put into your mouth, you are bound to maintain Fort Worth weight loss as you learn to make better choices. Everyone who cares about Fort Worth weight loss has heard of yo-yo dieting where you lose weight and then slowly (or quickly) put the weight back on and then lose it again and so on. It is unhealthy to treat your body in that fashion, and it puts a lot of stress on your organs and cardiovascular system. In fact, you can do permanent damage to your body’s ability to maintain equilibrium. When you lose weight by following a calorie restricted fad diet, you are not making a lifestyle change. You are simply dieting. This makes it very difficult to keep lost weight off, because as soon as you start eating again the weight will return. The ideal healthy diet is really not a diet but more of a fitness plan. You learn to eat right and get regular exercise. The fitness plan is not something you follow for a few weeks until the weight is lost, but it is a plan for living a healthy life. There is a big difference between dieting to lose weight and getting fit while losing weight. Maintaining Fort Worth weight loss is a lot easier when you adhere to a healthy lifestyle. The key is to make your fitness program interesting by eating a variety of healthy foods and choosing physical activities you enjoy. If you are uncomfortable working out at the gym then you can hire an in-home trainer who can develop a varied exercise program. If you like exercising outdoors, there are many different athletic and recreational activities which you can do to burn calories. You can play tennis or start a walking program. The key to Fort Worth weight loss is to continue your weight maintenance program in your daily living while paying attention to habits which could lead to weight gain. Keeping the pounds off for Fort Worth weight loss is not difficult as long as you pay attention to your diet and continue to exercise regularly. Even as you age and the metabolism naturally slows down, low fat diets coupled with increased exercise can help you stay at the right weight. When trying to achieve weight loss in Fort Worth, gaining a balanced diet can be confusing. There is a lot to include and there are real moderated needs for protein, carbohydrates, vitamins, minerals, and even calories. As most people know, quantity of calories is a major concern; but then, calorie quality is important, too. All calories are not created equal; not all calories are evil—you need calories to live and have energy. A diet capable of supporting health and fitness is one that is packed with good calories. So what’s a ‘bad’ calorie? You might recognize it by another name—an empty calorie. An empty calorie is a calorie with no nutritional value. It is a calorie largely based in fats and sugars devoid of vitamins, minerals, and important nutrients. When trying to achieve weight loss in Fort Worth, you should learn which calories are empty calories and try to avoid them. Protein, carbohydrates, and fats are all macro nutrients. There are good sources of these needed dietary elements, but there are also a lot of bad sources that are nothing more than empty, useless calories. Good calories and good sources of macro nutrients have necessary carbs, good fats, and proteins, and they also have micro-nutrients such as fiber, antioxidants, vitamins, and minerals. The problem with empty calories is that they provide little to no energy, no restorative and constructive properties (for muscle, bone, and tissue), and add to fat stores. Very simply, empty calories have none of the necessary elements needed to support body function, workouts, and good health. Fitness depends on having good sources of calories that also provide other needed elements and energy for working out. The right caloric sources will result in improved energy, enhanced muscle formation, and increased weight loss. Empty calories will negate these efforts, making it harder to achieve weight loss in Fort Worth. In a hurried world it is easy to consume many empty calories throughout the course of the day and not even realize it. This can leave you feeling sluggish and thwart the best of fitness efforts. Many people trying to achieve weight loss in Fort Worth eat mainly empty calories and do not even know that they do it. So how can you easily spot an empty calorie? First off, consider that all ‘junk food’ is empty calories. Avoid sugar-laden foods and refined grains (white flours). 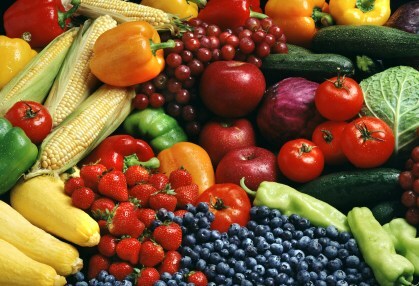 Eat natural sugars (fruits and vegetables) and whole grains. Avoid fried foods, candy, and sugary drinks (soda, but also sugary ‘energy’ drinks that are often nothing more than sugar and caffeine). Also look out for beer and alcohol; these are sources of sugar and stored fats with nothing else to offer. Depending on preparation, even good calories can turn empty quickly (fried foods and more). To really learn to quickly spot empty calories you need to get educated—talk to a nutritionist, your doctor, or your personal trainer. These professionals will give you the basics of good calorie consumption, help you balance out your diet and point you to reliable resources for more information about weight loss in Fort Worth. Your health and well-being depend on your good diet. Reaching your fitness goals does, too. Many a person has found that simple dietary changes, a switch-over to good calorie sources rather than consuming empty calories, has made the difference between a stalled fitness campaign and reaching and exceeding fitness objectives. Committing to a Fort Worth fitness program is really hard. It’s tough to stay motivated when you are the only one saying you have to do it. It’s hard to see the fruit of your labors when some of them are only measurable with a doctor’s complex testing and instrumentation. It’s exceedingly easy to be consumed by the pressing responsibilities of life and it’s really easy to tell yourself that one more day won’t make a difference. To make Fort Worth Fitness a priority in your life, you need to give yourself as many reasons and as many helpful tools as you can. Here you’ll find five great tips for making fitness a priority in life, rather than an afterthought. Clarify your undeniable need for fitness, enlist some help, and pencil—no pen—fitness in to make sure that you live well and live long. Write it down—what gets done in the course of your day? The things you’ve made time for. Exercise should be top of that list because it is what will ensure that you are around to do more and live better. Schedule time for fitness just as you would for getting dressed, working, and attending important meetings. Block out your time for fitness in your daily planner first so that you make the time. Schedule exercise in at a time that makes sense and the rest around it. Buddy up—get a friend to be your fitness buddy; or, if a friend isn’t interested or available, partner with a like-minded acquaintance at the Fort Worth fitness center and make him or her your friend and fitness buddy. Having a buddy makes fitness fun and (close to) painless and helps you support each other. You’ll find that the reasons you give your buddy to go on work for you, too! Make a list—list all the reasons why you want to get fit and be healthy. This helps you set fitness goals, motivates you with clear reasoning, and works as a reminder for those times when ambition is waning. Refer back to your fitness list to see what goals you’ve accomplished, what goals need revamping or replacing, and for general motivation. Reward yourself—create a reward system as further motivation; with one caveat—your reward cannot be food. Give yourself something worth working for, something that promotes fitness, and something with lasting motivational power. A spa treatment, new clothes/wardrobe, a long weekend or vacation, or new recreational or even fitness activity are some good rewards to start with. Look to the pros—the guidance and support of a good personal trainer is unbeatable as a prioritization strategy for Fort Worth fitness. A personal trainer will help you in innumerable ways by making exercise more enjoyable, more ‘do’-able, providing ongoing information and support, structuring a fitness program tailor-made for you, and being a general source of motivation. You’ll find that keeping that appointment time and being accountable to someone else helps, too. You’ll find these five simple tips for prioritizing fitness in your life will go a long way toward your success on the Fort Worth fitness trail. Small changes like these can make a big impact and really help you keep your good health and well being at the forefront of your list of things that need doing.